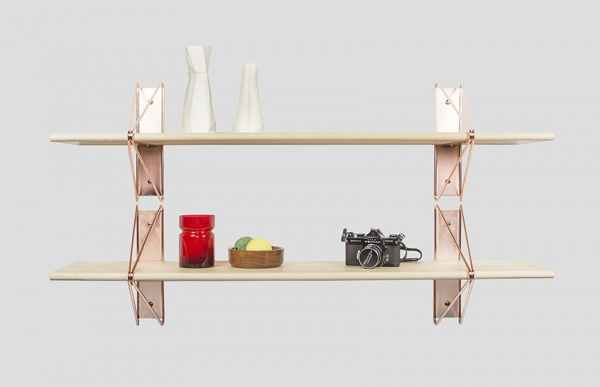 Modern minimalism meets classic architectural construction in the Strut Shelving System. Inspired by the Manhattan Bridge and construction techniques of early aircraft carriers, the modular system is functional and flexible making it ideal for commercial and residential spaces alike. Offered in both powder coated and plated options, the polished simplicity and adaptability of the system is sure to support any interior effortlessly. 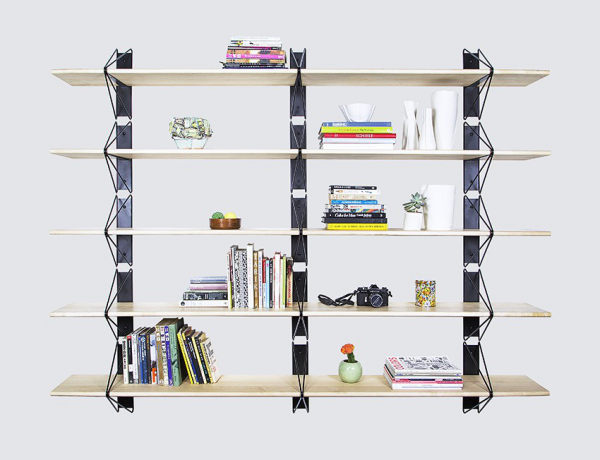 The Strut Shelving system was developed initially as a single bracket design that was born largely from bridge structures within New York City. Objects that are able to effortlessly span great distances translates well to wall space. Accordingly we developed hardwood shelving that would accompany the shelves. As a system the various options in wood and powder coated and plated steel really creates a broad array of assembly possibilities. This in combination with the way the shelving system can be installed is really exciting as it feels more like a built in piece within an interior than a bracket on a wall. In terms of customization the Strut Shelving system is an interesting prospect in comparison to how brackets are traditionally used. The array of ways with which the system can be assembled translates well to a range of environments ranging from contract to retail and residential. 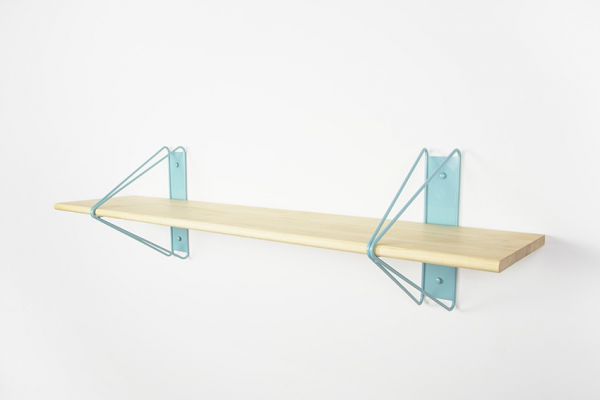 The need for a good shelving bracket was something that we identified immediately when designing this product began. In the various stages of development other considerations become built into development. The growing of the idea into a system provides a very contemporary option to wall shelving and how it can be used. 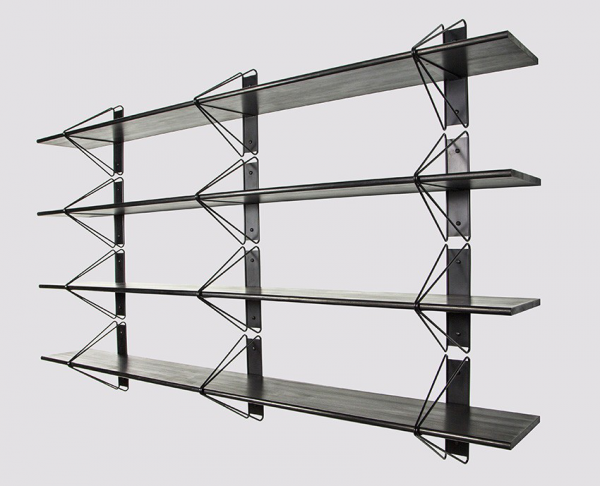 The sustainability of the Strut Shelving System comes from a minimal use of materials that are clean and equally structural. The quality of the components within the system is intended to yield a final product with a lifespan that exceeds that of the common bracket.